When faced with a difficult public policy issue, consideration for change is sometimes overlooked. There are many reasons for this. Sometimes, no known alternatives are apparent. 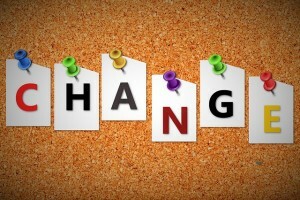 Other times, change seems too monumental of a challenge or it hasn’t been well introduced. Though often politically unpopular, local governments must and do consider change. This does not mean that change is always the right answer. But the tendency to follow the historic or routine path may not always support the public’s best interest. What about group think? The mere mention of “group think” outlines the difficulty of blazing a new path. However, following the status quo or popular way of doing something may not always be best. Change can be best considered if there are examples and data to support what results may be anticipated. Sometimes the solution may be a blend or compromise of available options. Most people can think of an example of resistance to considering new options. Maybe a past change was made that was a complete flop. The appetite for change may be low. Still, effective and value-added change may be best now more than ever. Certainly, encouraging change is helpful if local officials are supportive. As two examples of very big public issues, below are brief discussions of the need for careful study of our public pensions and the federal budget. None of this discussion is to say we should do away with or cut any specific program areas. It is to say that we need to thoroughly examine ways of improving our programs and processes to the value of our citizenry. Each local government can likely think of examples of programs and processes that could use careful study. The conditions of many state and public pension systems are arguably declining. While some are in decent shape comparatively, others’ futures look bleak. Some are notably in the media for low funding ratios. These systems have promised more than can be currently and sustainably supported. No one wants to be the person out on a limb, preaching the change needed to help turn this situation around. It is not typically politically favorable. The promises and guarantees made can be kept, but addressing ongoing change could, and in some cases, has been done if they are the right change. It seems that some public pension systems are kicking the can down the road. Maybe they can right the path by making small changes now. It may be that until there is irreversible and undeniable failure, nothing will be compelling enough to change dramatically. More simply, perhaps human nature directs behavior. We want to believe it is possible to salvage the sustainability of a system or that leadership will ask why they should go out on a very unpopular limb for changes that may only right size things down the line. Even with the generational balance, it is difficult to leave these decisions alone now to burden younger generations. We know this, but sometimes it takes insurmountable courage to direct change without 100 percent proof of what is to come. Saying all of this is not to pick on the actions of the past or place more blame on systems that are on the brink of failure. Truthfully, these local governments have made tough decisions with many competing demands. Instead, it is important that we learn from some of the examples we have and make changes to better our future. These can be our calls to push change, at a time where it may be more important than ever. To dive deeply into the topic of the federal budget could take pages of in-depth analysis, which is beyond the scope here. But a simplified explanation at a workshop in Iowa by a local official made more than enough sense. The summary included the opinion that the federal budget comes down to a math problem, not a political problem. The speaker noted that the combined spending for Social Security, Medicare and Medicaid, and interest tends to exceed revenues. There is often heated discussion over other areas of the federal budget. However, without addressing systemic, ongoing issues, the larger budget problem will not be solved due to shear math. Looking for change and improvements to local processes is not easy, but careful analysis and research is needed in all levels of governance. Author: Erin Mullenix is an experienced research and fiscal analyst at the Iowa League of Cities. In her role, she provides a wealth of local government finance research and support to local communities. Her areas of study were in public administration, industrial engineering and Spanish. Erin can be reached at [email protected].